Planning a trip to India is confusing, frustrating and overwhelming. BUT being in India is one of the best travel experiences you can have. So I guess you could say it is worth it. If you are a visual person here are 20 reasons to head to India. Below I've tried to detail everything I could possibly think of that will help you plan a trip to India. This guide covers my experience traveling through the golden triangle and questions I got once I was back. I'm never been to India...where should I go first? For sure - The Golden Triangle. 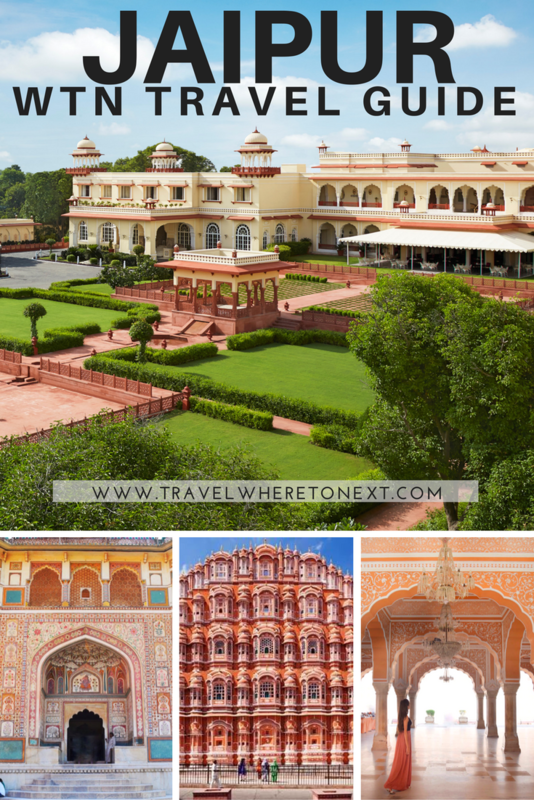 Located in North India, it is one of the most easily accessible travel journeys and not only does it provide you with a great glimpse into the country but also tons of amazing sights to see (even on a time constraint). 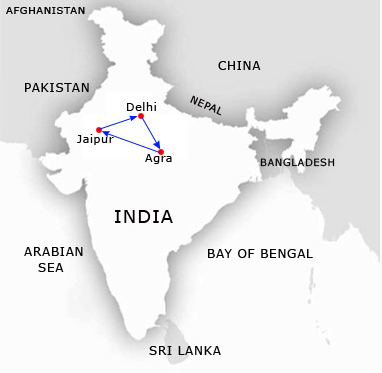 The triangle connects the national capital of Delhi, the pink city of Jaipur and the home of the Taj Mahal the city of Agra. The cities are heavily frequented by tourists so don't be nervous. Well India is huge so it is a little different in each region. Best months: February, March, October and November. Perfect weather but of course hotel, food and guide costs are the highest. Cheap options: Winters are very foggy and Summers are extremely hot but everything is of course everything is cheaper in the off season. To be avoided: July/August. Monsoon season. Avoid if possible Delhi in particular is very prone to flooding. My tip: I visited in September and found it very enjoyable with little rain and not too humid of days. We only had one really bad day in Delhi where the most of the city flooded. Best months: November to February. The temperature is mild with cool days perfect for outdoor activities and sightseeing. Cheap option: March to May. Temperatures are starting to rise but evenings are still pleasant, definitely possibility of rain. To be avoided: June to October. Monsoon season. Traveling is difficult but not impossible. The Himalayas cover a vast area but in general the best months to visit are late October until early May, depending on the exact location and altitude of the trek. An exception is Ladakh, where tourist facilities are only open between May and September. What is the Cheapest city to fly into? Delhi: Indira Gandhi International Airport - airport code DEL. A huge modern airport with tons of flights from the entire world. Flights from the US to Delhi can be found for around $700-1100 round trip but I have seen deals for as low as $500 round trip. Word of warning Delhi sometimes can be covered in fog, which can delay flights. Mumbai: Chhatrapati Shivaji International Airport, formerly Sahar International Airport is the main international airport – airport code is BOM. India's other huge modern city. Again a huge modern airport just a different region of the country. How do I get from city to city? Once you get to India traveling between cities is pretty inexpensive. Plane - You could fly to the smaller airports and arrange transportation to your hotel. But I wouldn't do this, especially if you are traveling short distances like the Golden Triangle. There are much easier ways to get from each city and this is definitely the most expensive option. Trains – A GREAT way to travel India on the cheap. It is intimidating but easily done if you are bold. Third class tickets are insanely cheap but third class really means third class in India. Think people crammed into cars, live animals with you and huge doors that stay open while you move. It is an experience you won’t forget if you do it. My tip: I took the first class train from Delhi to Jaipur and it was enjoyable. Food, comfy European style train cars and friendly service. Automobile - You can hire a driver to take you from city to city. It sounds like a luxury but is actually just as cheap as a first class train ticket! This is also the route we went for the journey from Jaipur to Agra. It worked out well because we were able to see Chand Baori and Faturpur Skrir along the way. The cost for two was only $90. That included a private car, driver, pickup from hotel in Jaipur, drop off at hotel in Agra, the 4 hour drive from Jaipur to Agra plus all the stops we wanted to make along the way. In total we were allowed to have the driver for up to 12 hours. What is there to do in each of the Golden Triangle cities? Don't worry I've got you covered! I never had a problem at any hotel, landmark, or airport finding people that spoke perfect english. Same goes for the drivers and guides we hired. Some spoke better english than us and at the very least they will speak broken english. What do I wear when in India? Try to blend in. Don't show too much skin. Maxi skirts/dresses are your best friend. Cap sleeve shirts or a scarf covering your shoulders also is recommended. You will have to cover up in temples. Also, buy saree's the local love when you embrace their culture! You can buy them in street markets for as little as $3 or you can buy a premade one with a matching top in a nicer shop for about $15. Do I need to worry about dengue or malaria? Unfortunately yes. Worry more so about dengue it is miserable to catch and so avoidable! Stay away or be very wary around standing water. It is also another reason to stay covered up. Of course make sure you pack bug repellent. India has one of the largest population at 1.2 billion. Now add in tourists and you've got a lot of people in one place. So yes, it will be crowded. You will have very little personal space when seeing major sights and exploring the markets and cities. Can I drink alcohol in India? Yes, there are bars but permits only allow them to be open till 10:30pm. Major hotels will have bars in them as well. If you want to buy alcohol ask your hotel or guide to point you to the nearest "Wine and beer shop" these shops close around 10pm. I am a female solo traveler, can I travel India alone? Yes it is possible but it is one of the harder places to travel alone. If you arrive into an airport in the middle of the night stay there till morning. Do I need a Driver/guide everywhere i go? No definitely not! But here are my thoughts... India is extremely inexpensive, so hiring a driver all day is a great way to see the cities on limited time. Plus it makes everything just a little bit easier. In Delhi a driver for 8 hours was around $24. As for a guide if you are into history and tons of facts while you travel this is the best place to have a guide everywhere you go! I've heard about Delhi Belly, how do I avoid it? I’m going to be completely honest here. There is not a ton you can do to avoid it, but you can minimize it. For those not aware Delhi Belly is unpleasant diarrhea or dysentery from eating Indian food. If is due in part to using local water to cook or the spice level of the cooking and our stomachs not being used to it. If you are on a short trip or want to avoid it as much as you can eat only at the nice hotels or big tourist restaurants. If you are on a longer trip or you are tough get it over with when you first arrive. Your body will get used to it in as little as a couple hours or as long as 3 days. Grab some diarrhea medicine, eat some bananas (they help!) and good luck. what is the food like in India? If you are a vegetarian you will LOVE India. There are so many options you will probably be overwhelmed. If you eat meat don't worry most restaurants have a meat section unless it is marketed as a vegetarian restaurant. Cows are sacred in India and in Rajasthan it is completely outlawed to sell their meat, even to tourists, so you may have to eat chicken burgers while there. The food is spicy but most restaurants cater to tourists and tone down the spice. But their version of normal spice is still very spicy for most westerners. That being said if you are extremely sensitive to spice eat with caution. If you let them know when you arrive they usually can make something devoid of spice. If you get sick of Indian food the cities have tons of restaurants that specialize in european food. Also almost every menu at large restaurants has a european section. If you visit the triangle make sure you visit Suvarna Mahal while in Jaipur - More about it here. No only drink bottled water. I didn't have a problem brushing my teeth with the hotel water. Bartering is a way of life in India, even in nice showrooms. The simplest way to barter is to open by cutting the quoted price in half and then find your way to a figure in the middle of that. What can I expect when traveling India as a westerner? This is actually the most asked question I get. You can expect a great time as long as you have an open mind. India is very loud, crowded and crazy at time. There will be cows in the middle of the street, a lot of beggars and some sad and shocking diseases in the general population. But it is a wonderfully spiritual place that can change your outlook on life (seriously). A word of warning locals will ask you to take a picture with them if you are a white western looking traveler. If you say yes a line will probably form. It’s really off putting at first so if you don’t feel comfortable with it then say no from the beginning. Are there any cool festivals to plan my trip around? YES! If you can visit during Holi (festival of colors) or Diwali (festival of lights) you will have a ridiculously amazing time and I am so jealous. What are the scams I should know about? Pushy touts - at every airport and train station ignore them and go to the pre-paid taxi stand instead. The push touts will tell you your hotel closed down and they can help you out! No problem! (ignore this...it's a scam) They say they have another one you can go to instead. It will be overpriced and they get a cut of the money. Special Shops - if you take rickshaws or even drivers they will tell you of a secret local shop they know about. Politely say no. It is overpriced stuff and again they get a cut.